This paper specifically looked at Mongolian Stock Exchange listed companies with no state ownership to review transparency and disclosure practice as a means of corporate governance performance. The paper focused on current corporate governance studies and up-to-date publicly available information at Mongolian listed companies to further evaluate the disclosure improvement and drawbacks. The study further revealed current disclosure deficiencies in the field of ownership structure; shareholdings by closely related shareholders which comprise controlling rights and inconsistency in report contents provided by listed companies. Yener highlighted good CG performance and specifically information transparency importance for either public or private sector firms’ sustainable growth in Mongolia.3 And individual firm’s development4 and growth in Mongolia has vital effect on economic growth. Albeit, general business community still have some doubt on the benefits of public disclosure of business information and some adverse implications have been noted by academic researchers. Earlier, in 1993 Darrough argued that depending on the competition and type of information disclosed, rivals are enabled to respond against the firm in oligopoly dominant environment.5 Also, some other authors noted early release of information can result in adverse outcomes depending on the situation and purpose of actions, such as risk sharing opportunity is diminished,6 overinvestment or improper allocation of capital.7 But it is notable that situation in listed companies’ is quite different. The paper aims at performing a specified analysis on transparency of MSE listed companies through looking at current CG performance, potential reasons for existing deficiencies, and to explore future academic research areas. In the first part of the paper, current corporate governance studies in Mongolia conducted by different organizations and individual researchers and their main findings will be reviewed. Second part will look deeper into the transparency of listed companies at MSE from perspective of how the firms are conscious of their responsibility and how strict is the current rules and regulations. The next part of the paper will show author’s contribution to the topic, continued by conclusion. And the paper is ended by appendices and references. In 2007, launch of corporate governance reflected survey conducted by Financial Regulatory Commission (FRC) of Mongolia among the listed companies and received a result that only 36 percents of the companies submitted its financial reports and 41 percents organized Annual General Meeting as per 2007. In 2008, USAID researcher Yener studied Mongolian CG environment, framework and practices, and Mongolian economy specific matters. Transparency and disclosure were pointed out as fundamental priority for enhanced CG practices in all private and public-sector firms. Minority shareholder rights need to be protected and suffered shareholders due to controlling shareholders abuse should be adequately provided by rights to take controversial action. Fiduciary duty of directors needs to be clarified and strengthened. Furthermore, for well-established CG system in Mongolia setting strong CG culture is challenged, which need to be built through capacity building (directors and managers education need to be improved), institutional building (effective legal and regulatory institutions, civil society organizations and CG performance metrics should be developed) and public education (increase awareness of public about good CG practices). Further, the CG code of Mongolian, 2007, was undefined the mandatory or discretionary requirements for publicly listed companies, and informational and application inconsistency situation incurred for listed companies. The board size of the firms was not affecting the CG practice of the organization. From the non-executive directors (NED) and CG performance, only 40 percent of the participating firms held NEDs and that cannot provide extrapolative result. However, among the 40 percent of firms, greater the number of NEDs, better the CG. In 2015, National Corporate Governance Council of Mongolia (NCGC) conducted National CG Report, used the same evaluation basis as FRC (2013). And this time the overall national CG performance was increased to 53.4 percent, almost doubled the 2013 result. This improvement was result of better adherence to rules and regulations and settings of committees. In the 2013 report, the analysis was undertaken by using 2011 data where the Company law of Mongolia was not yet updated with inclusion of tighter CG regulations. The report reviewed eight sectors in Mongolia including listed companies. It was concluded majority shareholdings at MSE listed companies are concentrated, CG is not developed at the satisfactory level and the investment environment is not conveniently developed to attract general public’s trust. Moreover, it was noticed lack of transparency in shareholdings and compensation for majority shareholders, board members, and executives; unsophisticated controlling mechanisms by audit committee and board level; and generally, the board and its committees’ capability and operation need to be enhanced. Recently in 2017, OECD conducted a survey on corporate governance frameworks in 14 Asian countries, including Mongolia to promote good corporate governance practices in Asia. The survey focused on legal and regulatory framework for listed companies’ corporate governance by referring to OECD principles of Corporate Governance. Almost all survey participating countries except Mongolia, provided information on ownership structure in the country. All the other 13 jurisdictions have concentrated ownership, for instances state ownership is dominating in People’s Republic of China and Vietnam; family ownership structure is overwhelming in Korea and India. In case of Mongolia, out of 320 listed companies, 35 of them have share from state ownership. But there is no ownership structure information has given for the rest of the companies. And this implies ownership structural data and analysis in Mongolia is missing. The studies held by different organizations show some chronological development and processes of corporate governance system in Mongolia. However, still there are some niches where the CG system needs to be developed in the country and firm levels as well as there is a need to do further research in CG matters for the sake of country’s macro and micro level improvement and development including, economic and capital market development, attracting foreign and local investors. This part of the paper is aimed to look at transparency and disclosure practice of MSE listed companies, from the latest available information to analyze whether the disclosure by the firms are improving and ease of access to information by the shareholders, potential investors and outsiders. For this purpose, the data is collected from companies’ publicly available information and reports at MSE website and MSE summary reports on the duty fulfillment by listed companies. The review is undertaken on the basis of information available as at March 2017. Since 2012, Mongolian Stock Exchange has been releasing listed companies’ duty fulfillment survey in accordance with duties stated at MSE Regulation on Securities Listing. The survey provides comparable and analytical information on listed companies’ duty fulfillment status. As per MSE report, there were 329 companies listed in 2012, but due to de-listings and small number of new registrants, the number of listed companies at MSE is decreasing year by year. In 2016 only 209 companies (latest as per March 2017) were listed at the MSE, although this number still included some inactive companies. The report does not include analysis on 100 percent state owned firms. And this paper is not focused on the state-owned firms as well. The survey collected duty fulfillment information in the main fields, including: Annual general meeting organization, annual financial reports submission, dividend decision announcement, operational report submission, company website in operation, annual subscription fee payment and latest in 2016 external independent audit approval category is added. Duty fulfillment is evaluated by scores, each sub category receives 1 point and total is weighted against the set of duties selected by MSE. The survey annual condensed result between 2012 and 2016 by listed companies is shown in Table 1. Overall, number of listed companies was reducing year by year refer to the de-listing of inactive companies and small number of Initial Public Offerings by new registrants. However, more serious issue is companies with satisfactory fulfillment score (more than 80 percent of the duties are fulfilled) in number was also reduced each year except in last year the result showed improvement. In other words, companies become more ignorant on the listing duties. As per five years’ average, only 22 percent of the listed companies disclosed satisfactory information to the public; 30 percent provide incomplete information and 48 percent provide unsatisfactory information. This result was in line with IFC findings that disclosure and transparency by publicly listed companies is not the norm. However, the evaluation result depends on the MSE determined criteria. Detailed category based results, see appendix 1. Duty fulfillment survey categories by MSE have been changed 4 times in the last 5 years, shows the important information collection in relation to transparency is under the development at MSE and consistency of data analysis is in progress. However, the report enables potential investors, shareholders, outsiders and researchers to analyze listed companies’ dedication on compliance with duties, activeness and information availability in the field, an initiative which the author of this paper welcomes. For the further review on publicly available operational report, only few companies demonstrated the existence of overseeing committees including audit, risk, remuneration and nomination committees. And those companies disclosed about their committees tend have at least audit, remuneration and nomination committee. However, there was no information provided about the committees’ performance, plan or policy such as compensation policy on executive and non-executives directors. Only few companies disclosed amount of directors’ salaries. Average listed companies provide less than 400000 Mongolian tugrugs for the non-executive directors and some of them even did not provide any salaries as reported by the firms. This raises some susceptible issue on the quality of directors’ performance, in the other hand raises the question that committees are built to pretend as legal requirement fulfillment.25 Iijima’s findings show almost 50 percent of the surveyed company directors are not paid and raised a question that whether any other incentives exist for directors? The above report shows how the listed companies are devoted to MSE requirements and conscious about its responsibility as being listed company. In addition, the necessity to have official report format to allow information consistency and comparability of companies’ performance as part of the transparency and disclosure at listed companies is highlighted. Furthermore, field (culture, geopolitics and history) specific monitoring and appraisal studies of executive’s/managers’ performance need to be rooted on the precise ownership structure data of the local firms. During the review of current studies on Mongolian corporate governance surveys and investigations so far by different organizations and individual researchers there is no precise and widespread, assured ownership structure analysis. Some of the researches contextually analyzed that Mongolia is dominated by concentrated ownership.32 Ganbayar reported 52 percent of the listed companies’ shares are in hands of 174 shareholders, 33 percent are at 783 shareholders, 10 percent are at 253 shareholders and 5 percent are at 394,166 shareholders is an indication of concentrated shareholding.33 Sodnomdorj mentioned 70 percent of the surveyed firms’ controlling packages were in hands of family ownership businesses.34 And Iijima concluded many listed companies in Mongolia have owner-managed status and main shareholders are owner and his relatives.35 However, current ownership studies are limited by sample size. Current publicly adhering ownership disclosure in Mongolia is only demonstrating on state ownership and foreign ownership. OECD reported out of the 320 companies listed in MSE, 285 companies have no state ownership and detailed study need to be undertaken for the ownership. Among the researched 14 Asian jurisdictions by OECD, all the other jurisdictions except Mongolia have provided precise information on ownership concentration and the extent of family and manager ownership.36 To set more adapted country level policy, reliable information on ownership structure such as family ownership as from the common ownership form need to be analyzed. Listed companies at MSE are required to disclose its operational report. In reference to MSE listed companies’ duty fulfillment summary report, in 2016 and 2015 analysis, only 99 companies out of the 209 and 38 companies out of the 214 companies disclosed its operational report, respectively. Further, there were only 62 companies’ report were publicly available for review at MSE website including the yearly reports for 2014, 2015 and 2016. Out of the 62 reports only 30 companies provided latest 2016 report as per end of March 2017. However, during the review of reports, there was no consistency of information in the reports disclosed by the companies. It indicates MSE needs some operational reports format or minimum information provision requirement for further comparison, analysis and research. Some of the companies’ operational report attempted to provide some CG performance of the firm. In accordance to recently updated CG code of Mongolia, separate CG report is required to be submitted. However, no companies yet provided detailed CG report. NCGC pointed only 3 companies disclosed separate CG report.37 And Cigna, Kobel and Sigheartau noted CG report is not observed to be well implemented.38 And due to lack of minimum requirement for information disclosed in report, the both operational information and CG related information was not satisfactory and unable to be further analyzed. Finally, reasons for unsatisfactory performance in mandatory information disclosure among Mongolian listed companies need to be studied. In reference to Darrough, firms’ behavior need to be understood in the absence of obligatory disclosure requirements, which allows to set more efficient disclosure policy and the author concluded in the fierce competitive environment if the firms are surely informed about the negative impacts of disclosure, mandatory disclosure regulation is effectively adhered.39 Specially, in the Mongolian case where sanction is not sufficient enough to prevent firms to breach the law, low compliance can be caused from oligopolistic nature. Nevertheless, Mongolian situation can be different. Current studies in Mongolian firms’ CG performance, particularly in the transparency and disclosure is lacking behavioral analysis. The research in the field of corporate governance in Mongolia is proliferating in last decade. Chronological studies, after the “Corporate governance code of Mongolia” introduction, show gradual legal and regulatory framework improvement to set better corporate governance system in listed companies of Mongolia. However, CG practice in listed firms was not improving at the same pace as legal and regulatory framework development. In accordance with Cuomo, Mallin and Zattoni corporate governance codes can be developed in the hierarchical levels of: international, national and firm level.40 In Mongolia soft and hard law initiative was originated from international practice and guidelines. Then national code was updated in 2014 and provided more freedom for the firms’ governance and avoided overly regulations. From the current studies, no firms disclosed firm specific corporate governance code, indicating there is no such practice implemented yet. Only lawfully required disclosure issues are incompletely implemented. Rules and regulations are gradually developing, although the adherence is not satisfactory. Important issue to build better corporate governance practice is to improve understanding about benefits to have good CG at the firm and economy level. Corporate Governance Code of Mongolia clearly stated that for the development of corporate governance system, CG influences on the economy, transparency practice, justice and efficiency, and encouragement for market participants understanding about CG shall be crucial.41 Out of these considerations, transparency of listed companies needs to be stand at the priority. Transparency and disclosure stands at the heart of realistic and quality research on economic, justice and efficiency of market, and market participation. Ways to improve Mongolian firms’ transparency, especially quality of information provided need to be further researched. 11 The worldwide corporate governance legislation was jumpstarted by the adoption of the Sarbanes-Oxley Act of 2002, which was a reaction to corporate scandals. About the legislation process, see: KECSKÉS, A., 2016. The Sarbanes-Oxley Act from a Legislative Viewpoint. The Theory and Practice of Legislation Volume 4. No. 1, pp 1-17. 12 YENER, D., 2008. Mongolia Corporate Governance Review. United States Agency for International Development. ; THE WORLD BANK, 2009. Reports on the Observance Standards and Codes – Corporate Governance Country Assessment: Mongolia. The World Bank Group. ; IIJIMA, K., 2011. Actual corporate conditions in Mongolia: An investigation into corporate governance of Ulaanbaatar’s listed companies. Journal of social system review. Vol. 3, pp.11-36. ; SODNOMDORJ, S., 2011. Current circumstances of corporate governance of Mongolian joint-stock companies. Journal of social system review. Vol. 3, pp.45-48; International Finance Corporation, 2013. Corporate Governance Scorecard 2011.; NATIONAL COUNCIL ON CORPORATE GOVERNANCE, 2015. National Corporate Governance Report. Mongolia: Urlakh Erdem LLC; CIGNA, G. P., KOBEL, Y., and SIGHEARTAU, A., 2016. Corporate Governance in Transition Economies: Mongolia country report. European Bank for Reconstruction and Development. 14 LI, M. – ZÉMAN Z. – LI J. (2016) The Impact of CSR on Chinese Economic, Development. Journal of Public Finance Published Quartely Volume 61, No.4, pp. 500-515. 15 DARROUGH, M., 1993. Disclosure policy and competition: Cournot vs Bertrand. Journal of Accounting Review. Vol.68, pp.534-561. 16 MARSHALL, J. M., 1974. Private Incentives and Public Information, American Economic Review 64, pp. 373-390. 17 SPENCE M., 1973. Job Market Signaling, The Quarterly Journal of Economics, Vol. 87, No. 3, pp. 355-374. 18 BUSHMAN, R., and SMITH, A., 2003. Transparency, Financial Accounting Information, and Corporate Governance. Journal of Economic policy review. April issue, pp.65-87. 19 RAJAN, R., and ZINGALES, L., 1998. Financial dependence and growth. Journal of American economic review. Vol. 88, pp. 559-586. 11 BLACK, B., 2000. The core institutions that support strong securities markets. Journal of Business lawyer. Vol. 55, pp1565-1607. 12 BUSHMAN, R., and SMITH, A., 2003. Transparency, Financial Accounting Information, and Corporate Governance. Journal of Economic policy review. April issue, pp.65-87. 13 MALLIN, C. A., 2013. Corporate governance: 4th ed. Oxford: Oxford University Press. ; ZATTONI, A., and CUOMO, F., 2010. How independent, competent and incentivized should non-executive directors be? An empirical investigation of good governance codes. British journal of management. Vol.21, pp.63-79. 15 THE WORLD BANK, 2009. Reports on the Observance Standards and Codes – Corporate Governance Country Assessment: Mongolia. The World Bank Group. 16 IIJIMA, K., 2011. Actual corporate conditions in Mongolia: An investigation into corporate governance of Ulaanbaatar’s listed companies. Journal of social system review. Vol. 3, pp.11-36. 18 KECSKÉS A., 2015. Inside and Outside the Province of Jurisprudence. Rechtstheorie, Vol. 56. No. 4. p. 465-479. 19 INTERNATIONAL FINANCE CORPORATION, 2013. Corporate Governance Scorecard 2011. 20 INTERNATIONAL FINANCE CORPORATION, 2013. Corporate Governance Scorecard 2011. p 53. 21 CIGNA, G. P., KOBEL, Y., and SIGHEARTAU, A., 2016. Corporate Governance in Transition Economies: Mongolia country report. European Bank for Reconstruction and Development. 23 CIGNA, G. P., KOBEL, Y., and SIGHEARTAU, A., 2016. Corporate Governance in Transition Economies: Mongolia country report. European Bank for Reconstruction and Development. p. 5. 24 NATIONAL COUNCIL ON CORPORATE GOVERNANCE, 2015. National Corporate Governance Report. Mongolia: Urlakh Erdem LLC. 26 IIJIMA, K., 2011. Actual corporate conditions in Mongolia: An investigation into corporate governance of Ulaanbaatar’s listed companies. Journal of social system review. Vol. 3, pp.11-36. 27 NATIONAL COUNCIL ON CORPORATE GOVERNANCE, 2015. National Corporate Governance Report. Mongolia: Urlakh Erdem LLC. 28 MORCK, R., and YEUNG, B., 2004. Special issues relating to corporate governance and family control. World Bank policy research working paper, Vol.3406. 29 MORCK, R., and YEUNG, B., 2004. Special issues relating to corporate governance and family control. World Bank policy research working paper, Vol.3406. 30 MORCK, R., et. al. 1988. Management Ownership and Market Valuation: An Empirical Analysis. 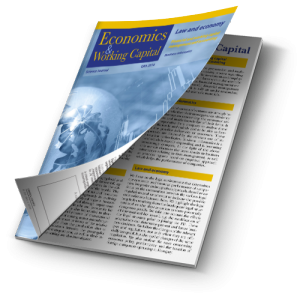 Journal of Financial Economics Vol. 20. No. 3. pp. 293-315.; STULZ, R. 1988. Managerial control of voting rights: Financing policies and the market for corporate control. Journal of Financial Economics. Vol 20. No. 1-2. pp. 25-54. 31 JOHNSON, S., et al. 2000. “Tunneling.” American Economic Review, Vol.90. No. 2. pp. 22-27. 32 YENER, D., 2008. Mongolia Corporate Governance Review. United States Agency for International Development. ; IIJIMA, K., 2011. Actual corporate conditions in Mongolia: An investigation into corporate governance of Ulaanbaatar’s listed companies. Journal of social system review. Vol. 3, pp.11-36. ; NATIONAL COUNCIL ON CORPORATE GOVERNANCE, 2015. National Corporate Governance Report. Mongolia: Urlakh Erdem LLC. 33 GANBAYAR, D., 2015. Corporate governance current status and future trends. In: (Financial Regulatory Commission) Program implementation, results, future works. Ulaanbaatar, Mongolia 15 January 2015. 35 IIJIMA, K., 2011. Actual corporate conditions in Mongolia: An investigation into corporate governance of Ulaanbaatar’s listed companies. Journal of social system review. Vol. 3, pp.11-36. 36 OECD, 2017. Survey of corporate governance framework in Asia. [online] Available: <http://www.oecd.org/daf/ca/OECD-Survey-Corporate-Governance-Frameworks-Asia.pdf> [Accessed 1 March 2017]. 37 NATIONAL COUNCIL ON CORPORATE GOVERNANCE, 2015. National Corporate Governance Report. Mongolia: Urlakh Erdem LLC. 38 CIGNA, G. P., KOBEL, Y., and SIGHEARTAU, A., 2016. Corporate Governance in Transition Economies: Mongolia country report. European Bank for Reconstruction and Development. 39 DARROUGH, M., 1993. Disclosure policy and competition: Cournot vs Bertrand. Journal of Accounting Review. Vol.68, pp.534-561. 40 CUOMO, F., MALLIN, C., and ZATTONI, A., 2016. Corporate governance codes: A review and research agenda. Corporate governance: An international review. Vol. 24, pp.222-241. 41 Mongolian Stock Exchange, 2014. Corporate Governance Code. Available at: < http://mse.mn/uploads/images/cgc_2014_english.pdf> [Accessed on 9 November 2017] p. 4. Older archive is available for authorized users only.